What in the ever-loving H-E-double-hockeysticks is up with all the breaking break-up news lately? And it’s not just that folks are splitting up–it’s that they’ve ALREADY split up, and we’re just finding out about it now. First David Arquette and Courteney Cox announced that they’ve been giving a trial separation a shot for the past FEW MONTHS. Now, Christina Aguilera and her husband, music exec Jordan Bratman, have come out with the news of their own pre-existing separation. And in an even weirder twist, both couples delivered almost identical statements, essentially saying that, while their marriages have gone the way of the dodo, the beeper, and Bruce Jenner’s face looking human, they still remain dedicated to their wonderful progeny. Man alive. Is every Hollywood couple already in limbo/totally devoted to single parenting, and we just don’t know yet? And why are Xtina and Bratman the latest victims of this bizarre trend? Moonit’s on the case. 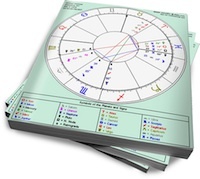 *Note: Moonit’s relationship assessment is based on a proprietary algorithm powered by Astrolabe that identified Sun trine Venus as their strongest weighted aspect for romance, based on their birth dates using a noon election. Freedom and independence-loving Jupiter and Uranus in Pisces are squaring Xtina’s Sag Sun. Maybe Christina is feeling the need for some Saturn return upheaval? Yeh I think her Saturn Return is doing work here. Shes had quite the year… her album underperformed badly. So her planned tour was cancelled. And now she’s divorcing her husband. I guess she’s done with the old and wanting something new? I love Christina since I was in high school, even until now. According to her chart, she going to be doing just fine.